Summary: When spending time outdoors, it can be a frustrating to be bugged by insects. Rose Geranium oil is an effective insect repellent. (NaturalNews) With summer in full bloom and more and more cases of Lyme disease being reported, many are searching for ways to repel ticks without having to resort to harsh chemicals. Luckily, there is one sweet-smelling alternative that is proving to be quite powerful in the fight against this growing concern. Ticks operate mostly by using their sense of smell. Ticks don't jump or fall from trees; instead, they do something called "questing." That is, they climb to the top of a blade of grass or plant and stick their front legs up in the air, waiting for the scent of a victim to walk by. If you find one on your head, then it crawled there. Their front pair of legs have what are called Haller's organs, which detect smell, temperature, movement and carbon dioxide. This is how they know that you are coming. And since it is well known that they like warmth and moisture, they are waiting for a warm, moist environment to call their home. The best part about this is that, for some reason, they are not attracted to the scent of rose geranium essential oil. There are two varieties of rose geranium oil. In order to get the most bang for your buck in repelling ticks, you want to find the one with the botanical name Pelargonium capitatum x radens. The more popular rose geranium oil under the name Pelargonium graveolens is from the same family, but not the same species. 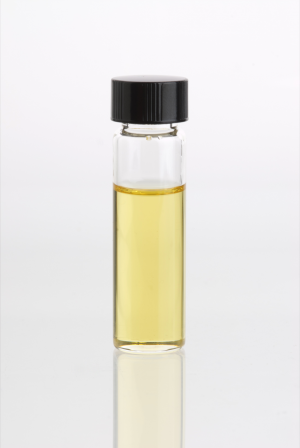 Most essential oils need to be diluted, but rose geranium does not fall into that category if used in small doses. So, because all you need is a few drops to do the job, a little most definitely goes a long way. Simply placing one drop on each ankle and on the wrists, then a little behind the knees and one on the back of the neck is all you will need to do the trick. Since dogs are extremely sensitive to smell, you will want to go easy on the oil for your canine friends. One drop behind each shoulder blade and at the top of the base of the tail. Be careful to avoid the face and nose; their sensitive sniffers can't handle anything anything too strong. Other essential oils such as lavender, lemongrass, citronella, eucalyptus, and cedar wood have all been found to be helpful in repelling these unwanted guests as well. Please check specific directions before using to ensure safety for dilution purposes. Note: the essential oil of rose geranium is one single oil and not a mixture of rose and geranium oil.